In August 1812, under threat from the Potawatomi, Captain Nathan Heald began the evacuation of ninety-four people from the isolated outpost of Fort Dearborn to Fort Wayne, hundreds of miles away. The group included several dozen soldiers, as well as nine women and eighteen children. After traveling only a mile and a half, they were attacked by five hundred Potawatomi warriors. In under an hour, fifty-two members of Heald’s party were killed, and the rest were taken prisoner; the Potawatomi then burned Fort Dearborn before returning to their villages. These events are now seen as a foundational moment in Chicago’s storied past. 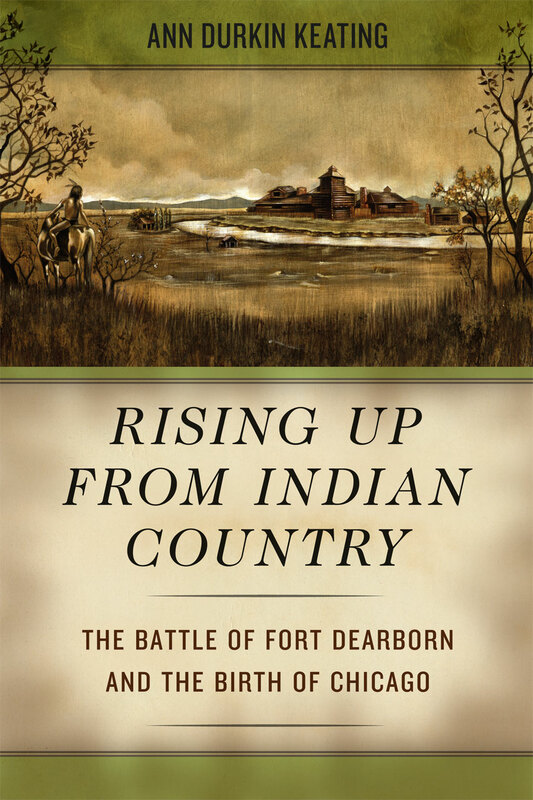 With Rising up from Indian Country, noted historian Ann Durkin Keating richly recounts the Battle of Fort Dearborn while situating it within the context of several wider histories that span the nearly four decades between the 1795 Treaty of Greenville, in which Native Americans gave up a square mile at the mouth of the Chicago River, and the 1833 Treaty of Chicago, in which the American government and the Potawatomi exchanged five million acres of land west of the Mississippi River for a tract of the same size in northeast Illinois and southeast Wisconsin. In the first book devoted entirely to this crucial period, Keating tells a story not only of military conquest but of the lives of people on all sides of the conflict. She highlights such figures as Jean Baptiste Point de Sable and John Kinzie and demonstrates that early Chicago was a place of cross-cultural reliance among the French, the Americans, and the Native Americans. Published to commemorate the bicentennial of the Battle of Fort Dearborn, this gripping account of the birth of Chicago will become required reading for anyone seeking to understand the city and its complex origins. "Keating presents an excellent addition to the interpretation of Chicago’s early history while at the same time providing a reminder to all historians that early border societies were very complex."